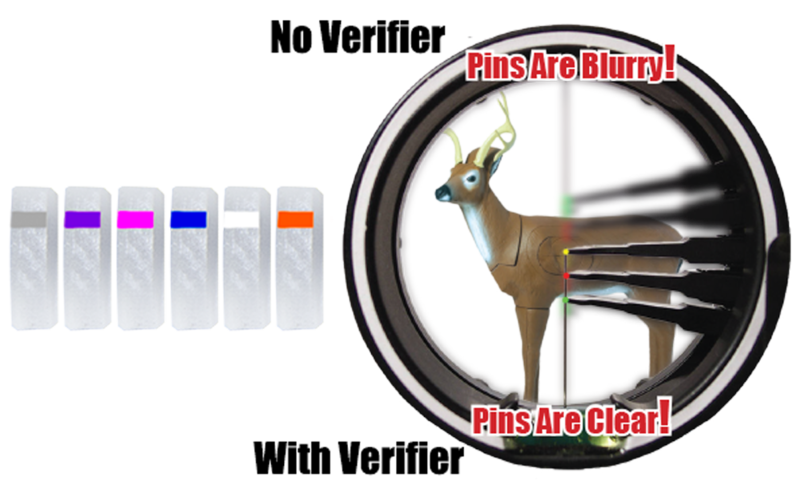 The Verifier peep has a lens in it similar to the ones in your reading glasses that will allow you to see your sight pins better on your hunting sight. Don't let changes in your vision compromise your ability to make the shot. The verifier lens sharpens the picture so pins and quarry are easy to see.